Jatamansi is a natural brain nervine tonic and a memory booster, which has calming, peacefulness and relaxation herbs. It is an endangered ayurvedic herb had been used since the ancient centuries for many medical purposes. In local markets, it is available in the name of root, oil, and powder. Nardostachys Jatamansi is a known calming herb in Ayurveda and Unani medicine because of its medicinal values. A number of researchers and studies have been done for its efficiency in respect of nervous system. In Ayurveda, it is prescribed for stress, spasm, epilepsy, convulsion, and hysteria. 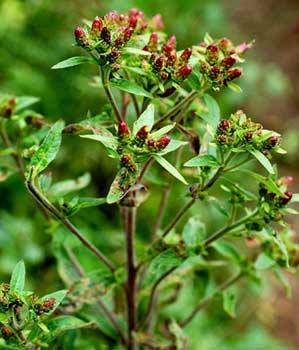 In fact, it is one of the best herbs to treat epilepsy. Jatamansi consists of two words: Jata means dreadlocks and Manasi indicates towards a human. It comes from the family of Valerianaceae. It has been found in the Himalayan region. Spikenard (Nardostachys Jatamansi) is commonly found in parts of India, China, and Tibet. It belongs to the Valerianaceae family. It is perennial herb having aromatic characteristics. The extract of jatamansi oil is helpful for the hair growth. It is also beneficial for smooth, silky and healthy hair too. It is used to improve complexion and ensures glowing and shining looks to the body. The root powder when applied with water promotes skin texture. It is an amalgam of Nardostachys jatamansi and Marsilea minuta with the ratio of 1:2. It is used as anti-epileptic. Cardiac health: It ensures good cardiac condition as observed in mice. The natural plant is helpful in enhancing the faculties of the brain and combats the mental illness thus impart calm and peace to the brain. It is one of the effective medicinal roots to subsidies the three humors-Vatta, Pitta and Kapha and provides delightful state to the doshas of the body. It helps to provide vitality, vigor, and strength to the body thus good for the nervous system. The plant has the power to reduce stress, anxiety, and tension by balancing biochemical reactions in the body. It is good to have the mind cool and healthy and acts as one of the finest mind rejuvenator tonics. It facilitates sound sleeping thus good for those who have the stressful life. The burning sensation of skin and inflammation get subsidized when the decoction of Jatamansi powder prepared in cold water is applied on the skin. it shows hepatoprotective effects along with Momordica charantia and it shows hepatoprotective effects along with Momordica charantia and ferula asafetida. The essential oil of it acts against fungi like Aspergillus flavus and Aspergillus niger. • It is used to impart the black color to hair and prevents greying of hair. Its medicated oil with almond is highly useful for smooth and silky hair. • It is beneficial for hyperactive children and helps to reduce hyperactivity, restlessness, and aggressiveness. • It is therapeutically very important, alleviates pain and swelling and shows the properties of carminative and aromatic. • It has hepatoprotective characteristics thus useful in hepatitis, prevent enlargement of liver and jaundice. • The oil helps to relax and calm the body and mind thereby ensures to relieve a headache and migraine. • Its underground stem is used in the preparation of powerful aromatic essential oil. • The root of the plant is used in the making of oil to treat insomnia and birth-related problems. • It is used as analgesic and diuretic in Unani. • Used as making of perfumes and dies. • The root of the powder is used to treat intestinal worms. • People suffering from hypersensitivity should avoid the using of it. • Consuming excess of jatamansi leads to vomiting, diarrhea, and abdominal pain. • It may also cause urinary problems if it is taken in excess. • Nausea and colic are also common if heavy doses are given. • Pregnant as well as the lactating mother should avoid it. The different biochemical substances that are found in this medicinal plant are ursolic acid, acacin, kanshone A, octacosanol, nardosinone, nardosinonediol, are stolen-9beta-old, oleanolic acid, beta-sitosterol. It also contains normal, jatamansic acid, jatamol A &B, spirojatamol, terpenoid, neolignans, taraxerone, valeranone, chlorogenic acid, ferulic acid, syringic acid and protocatechuic acid.